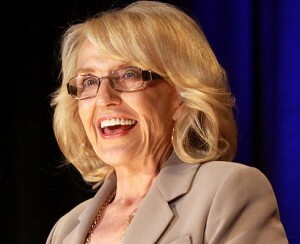 PHOENIX — An appeals court has rejected a lawsuit filed by a prominent atheist activist organization which sought to challenge the statewide Day of Prayer proclamations issued each year by Arizona Governor Jan Brewer. The Arizona Court of Appeals ruled unanimously that the Freedom From Religion Foundation (FFRF) of Madison, Wisconsin was unable to prove that Brewer’s proclamations caused any harm to unbelievers. The panel also stated that FFRF lacked standing in the case in relating to financial damages as there is no evidence that any of the complainants pay taxes in the state. FFRF first filed the lawsuit in 2011, when it challenged Brewer’s annual Day of Prayer proclamations in district court. When the challenge was dismissed, it refiled in Arizona Superior Court. The court likewise tossed the lawsuit in August of last year. Therefore, FFRF took its claims to the Arizona Court of Appeals, which upheld the dismissal this week. Brewer’s office also noted that the Day of Prayer is completely voluntary, although states nationwide observe the occasion. “Citizens are free to commemorate – or not commemorate – the occasion in whatever way they feel is appropriate,” it said. Since 1952, every U.S. president has signed a proclamation in honor of the National Day of Prayer, held each May. Governors in all 50 states issued proclamations last year, Brewer noted. FFRF said that it is considering appealing the decision to the Arizona Supreme Court.